“O ye fair ones,” Mormon lamented, as he reflected upon the destruction of his people. “How could ye have departed from the ways of the Lord! … how could ye have rejected that Jesus, who stood with open arms to receive you! Behold,” he mourned, “if ye had not done this, ye would not have fallen. But behold, ye are fallen, and I mourn your loss” (Mormon 6:17–18). Mormon’s “soul was rent with anguish” as he witnessed “the slain of [his] people” (Mormon 6:16). That anguish pours out onto the page as one reads his sorrowful lament. how is it that ye could have fallen! The same could be said of Jeremiah’s lamentations upon the fall of Jerusalem and its people to the Babylonians in 586 BC (Lamentations). Or centuries later, when the Savior would also lament over the city’s unwillingness to follow the Lord (Matthew 23:37; Luke 13:34). As he wrote these words, Mormon was probably envisioning the glorious era of peace and prosperity initiated by the personal visit of the resurrected Lord, which he had read about in the Nephite record. This stark contrast no doubt added to the tragic sting of death that surrounded him. Ancient poets also applied the forms of funeral laments to whole cities, “as if the city were a deceased person” in city laments. Jeremiah did this as he lamented the destruction of Jerusalem from which Lehi had fled (Lamentations). Centuries later, the Savior too would lament, “O Jerusalem!” (Matthew 23:37; Luke 13:34). Mormon similarly applied the form not only to the destruction of an entire city, but the genocide of his people. 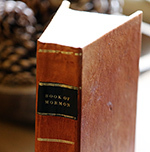 Like the laments of Jesus, Jeremiah, and other ancient poets and prophets, Mormon’s lament powerfully evokes agony and suffering that readers today can readily feel and relate to. then are ye blessed with your fathers who have gone before you. O that ye had repented before this great destruction had come upon you. 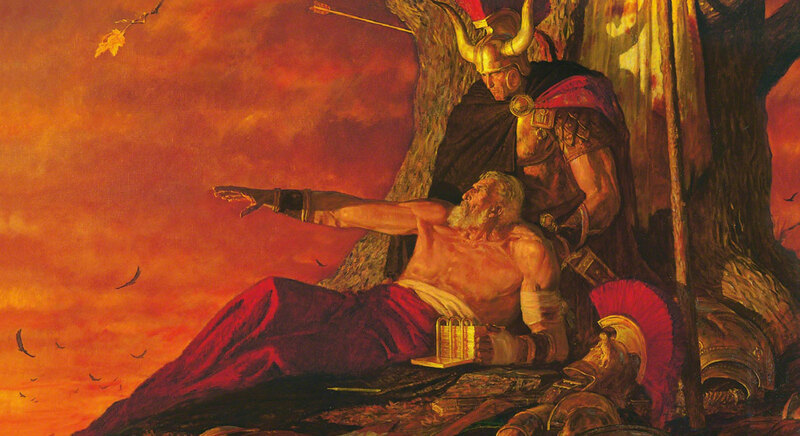 Instead of cursing the Lamanites, whom he could have blamed for death of his people, Mormon invited them to repent and receive the gospel (Mormon 7), to “lay down your weapons of war, and delight no more in the shedding of blood” and “believe in Jesus Christ, that he is the Son of God” (vv. 4–5). Mormon’s careful variation from traditional lament forms is important. He did not curse the Lamanites, nor even blame them for his people’s destruction, though that would have been easy to do. Instead, he recognized that his people had only themselves and their own wickedness to blame. So he warned that they would soon stand before God in judgment, and hoped for the best, trusting that God would judge “according to his justice and mercy” (Mormon 6:22). As for the descendants of those who were his enemies (the Lamanites)—he invited them to come unto Christ. Despite witnessing what was no doubt emotionally and psychologically traumatizing, Mormon, in his final words, set a worthy example to follow. His people were wicked, yet he loved them deeply, and greatly grieved their loss. He did not seek to blame others, despite his sorrow, and he loved his enemies, inviting them to come unto Christ and put an end to the needless bloodshed. Readers today can learn to similarly love even those who err, accept personal responsibility for their own choices, and accept the consequences of divine judgments. Instead of blaming others, even those who mourn can find comfort in loving their enemies, praying for those who have despitefully used them, and inviting them to come unto Christ. Matthew L. Bowen, “‘O Ye Fair Ones’—Revisited,” Interpreter: A Journal of Mormon Scripture 20 (2016): 315–344. Matthew L. Bowen, “‘O Ye Fair Ones’: An Additional Note on the Meaning of the Name Nephi,” Insights: A Window on the Ancient World 23, no. 6 (2003): 2. Thomas W. Mackay, “Mormon and the Destruction of Nephite Civilization (Mormon 3–9),” in Book of Mormon, Part 2: Alma 30 to Moroni, Studies in Scripture, Volume 8, ed. Kent P. Jackson (Salt Lake City, UT: Deseret Book, 1988), 231–244. See F. W. Dobbs-Allsopp, “Lament,” in Eerdmans Dictionary of the Bible, ed. David Noel Freedman (Grand Rapid, MI: Wm. B. Eerdmans, 2003), 784–785. Nancy C. Lee, Lyrics of Lament: From Tragedy to Transformation (Minneapolis, MN: Fortress Press, 2010), 24. For more on biblical laments, see Lee, Lyrics of Lament, 73–179. For a more thorough review of the traditional literary form that laments take, see Lee, Lyrics of Lament, 49–70. According to Dobbs-Allsopp, “Lament,” 785, “there are several literary transformations” of the standard funeral lament in the Old Testament. So it is not surprising or problematic that Mormon breaks form. The name Nephite may literally mean fair ones. See Matthew L. Bowen, “‘O Ye Fair Ones’: An Additional Note on the Meaning of the Name Nephi,” Insights: A Window on the Ancient World 23, no. 6 (2003): 2; Matthew L. Bowen, “‘O Ye Fair Ones’—Revisited,” Interpreter: A Journal of Mormon Scripture 20 (2016): 315–344.